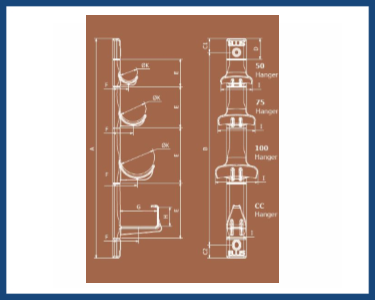 Ellis designed this non-metallic modular cable hanger system using a high strength nylon especially formulated to meet the requirements of the London Underground 1-085 specification. Ellis Patents Ltd also has submitted this product for independent testing to prove conformance to the standard including toxicity, limited oxygen and smoke emission. The extruded aluminum spine is marine grade. It’s especially shaped profile has been designed to offer high strength and rigidity. 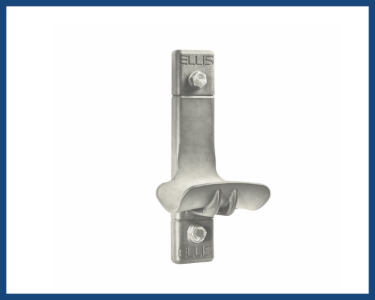 Ellis engineers considered resistance to ‘self-corrosion’ and ‘bi-metallic corrosion’ in the design and the non-metallic nature of the materials ensures that corrosion would not occur even in the harshest of environments. 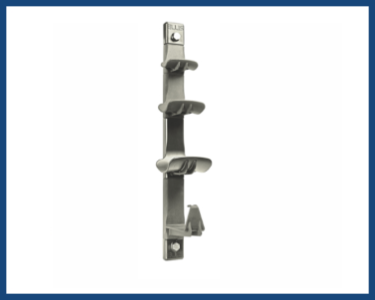 Safe working load per hanger is 25kg – 60kg (depending on hanger type). Fully modular assembly for new build projects. Special designs for specific applications can be supplied. 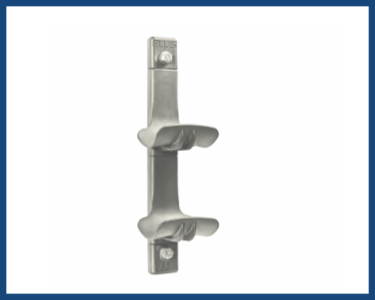 Up to 50% lighter than a galvanized steel equivalent.